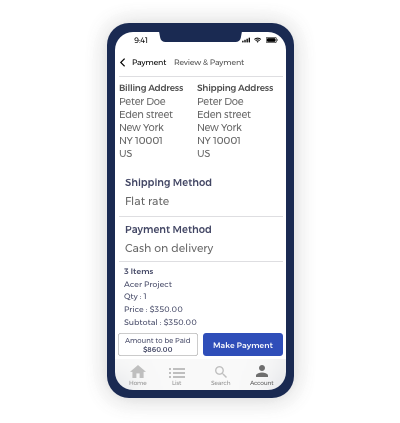 Multi-Vendor Mobile App for WooCommerce: Multi-Vendor Mobile App For Woocommerce is an app on React Native, which allows your website on Multi Vendor Marketplace for WooCommerce into an app. This app gives the power to the customer and seller to access the store from anywhere and anytime. The app is meant to work on both Android and iOS device. Begin on react the app will have the same UI on both the device. 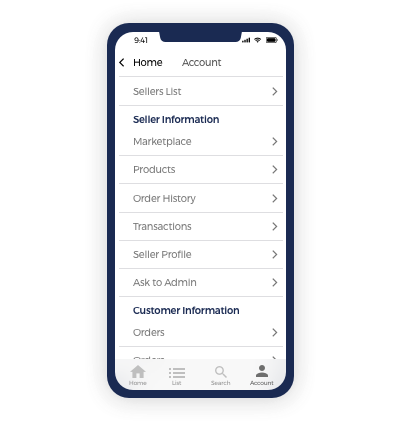 Multi-Vendor Mobile App for WooCommerce: With Multi-Vendor Mobile App For Woocommerce both the seller and customer can access the store anywhere and anytime. It helps the conversion of a website on Multi Vendor Marketplace for WooCommerce into an app. The app uses the latest technology- React Native as being followed by major e-commerce app like- Myntra, Airbnb, and Amazon. This will bring consistency in the appearance of the app in both the Android and iOS operating system. The app will allow the customer to view the product and place the order. However, the seller can manage the orders with the help of the app. This will save there time and enhances the interaction of customer and seller with the store. 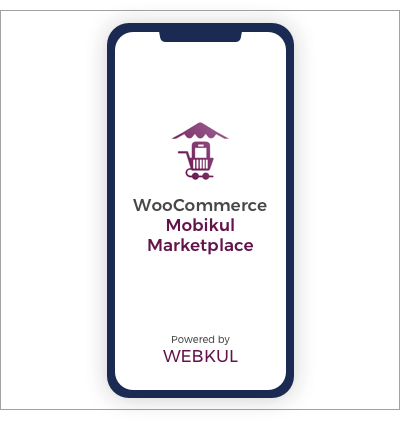 Please Note - To develop WooCommerce Multi-Vendor App, you must have Webkul Multi-Vendor Marketplace for WooCommerce plugin. The admin end is powerful enough to help the app owner to amend sections in the app. The purchase process can be optimized by the search feature. The app is infused with multiple features like the banner slider, category carousel, and other such utility sections to provide a user-friendly experience. 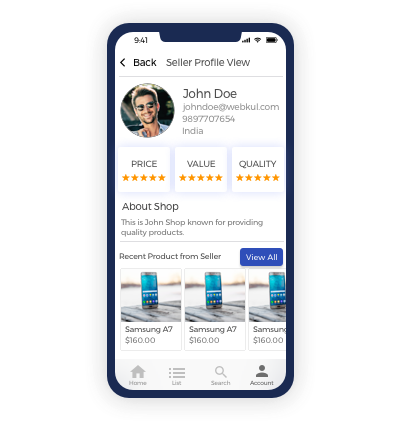 The app is powered by both seller and customer-centric features. Wherein the customer can purchase products sold by multiple sellers. Category Carousel- A highly dynamic section that contains a set of categories which are linked to the products. 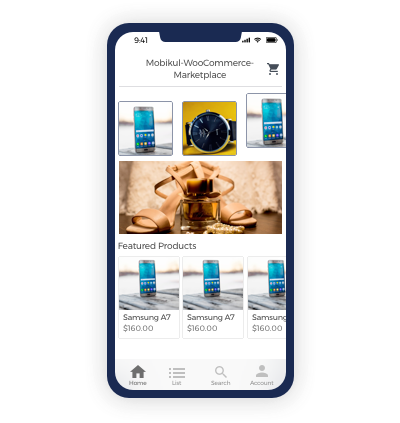 Banner Slider- The banners are displayed on the homepage to showcase the information about the store which is linked to either a product or a category. Featured Product- The products which are exclusive on the store are displayed in this section. New Products- Those Product which has been added in recent time are displayed in this section. The homepage is the introductory section that will not allow the customer to leave the store quickly. Hence, allowing a higher conversion rate. With the introduction of the app in the marketplace now it is quite easy to manage the Profile quickly. The Sellers need not go all around to look for a laptop/desktop. They can accomplish the motive just by a device in their hand. The seller can quickly monitor and update their profile from anywhere and anytime. The seller can review the added profile details as it will appear to the customer. The seller can add various details about the shop with the help of the app. The seller can raise a query for the admin to respond. This will allow in building a healthy relationship in the marketplace. The query system can sort multiple issues related to product, orders and other such issues. The seller can review the Query history anytime. It helps in resolution of any sort of issue related to store. 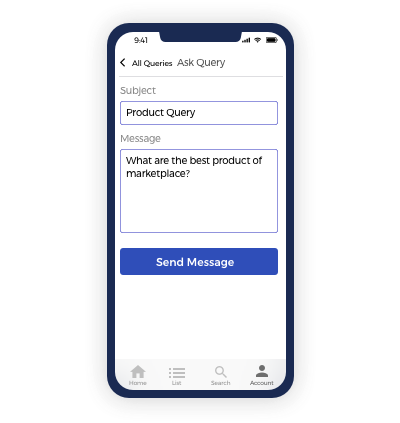 However, if you wish to have an efficient chat system for buyer and seller you can refer here- https://store.webkul.com/WordPress-WooCommerce-Marketplace-Buyer-Seller-Chat.html. We can customize the features of the module in the app as in the website. The checkout process of the app saves the time of the customer. The customer can simply follow a few steps to purchase the product. This will decrease the bounce rate of the store and help in more conversions. Billing Address and Shipping address- The customer can review or update the addresses in this section. Shipping Method- The customer can select the shipping method as per choice. Payment Method- The customer can select a suitable payment method for payment purpose. Order Review- The customer before finalizing the order can review the complete order. Rich UI with the usage of the declarative component. No need of languages like Swift, Kotlin or Java. Seller communication with admin via app messages. Customer Profile Management by editing the address details, account details. The customer can view the orders. Uniform and Rich mobile UI. Did you buy Multi Vendor Mobile App for WooCommerce? Yes, for that you need to purchase the app with source code. At the time of purchase, you need to select the option"Mobile App with Source code"
You can send us your order details on our ticket system by creating the ticket on Mobikul Support. Yes, Mobikul provides white label and fully customizable Apps for your eCommerce Store. You can get the complete details here.